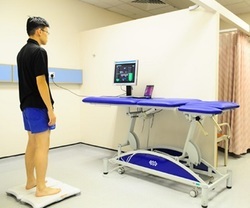 Why don't we perform physical function assessments better? What is the best way to assess physical function in a feasible way? Until the creation of this website it has been difficult to disseminate these systems, however our aim is to make as many of these programs as possible freely available to people throughout the world to try themselves. To keep them as simple as possible and reduce burden on ourselves these programs are typically very straightforward to use. However, this does result in limitations to their use, so if you have any suggestions to improve them please let us know. Unfortunately we are very limited in our ability to provide technical support given these programs are mostly free, so please keep that in mind. Please click on any of the following images to have a look at what we do - enjoy our website! Here's where you will find descriptions of the research we are doing ourselves and with our collaborators. If you see anything interesting let us know - we are always happy to talk to people about collaborations! Our goal is to collect population level data, not just nationally but internationally. This is where you will find information about the tools we use, including downloadable software and instructions on how to build measurement instruments. This section will continue to expand as we assess new devices. As mentioned above - these programs are designed to be as simple as possible and therefore will have some limitations. Please feel free to contact us to discuss changes that you may want made, we can't guarantee we can do it but we're happy to chat with you about it. In this section you will find random sports-related research, software and hardware instructions. This mostly comes from my own interest in measuring sporting performance.